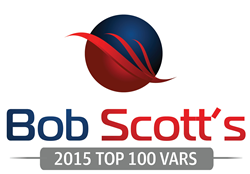 Stambaugh Ness Business Solutions (SNBS) has been named to the Bob Scott’s Insights Top 100 VARs for 2015. The Top 100 Value-Added Resellers are chosen from organizations specializing in the sale and implementation of Enterprise Resource Planning (ERP) and accounting software. Bob Scott has been informing and entertaining the mid-market financial software community via his email newsletters for 16 years. He has published this information via the Bob Scott’s Insights newsletter and website since 2009. He has covered this market through print and electronic publications, first as technology editor of Accounting Today and then as editor of Accounting Technology, from 1997 through 2009. He has covered the traditional tax and accounting profession during the same time and has continued to address that market as executive director of the Progressive Accountant since 2009. Stambaugh Ness Business Solutions is a leading Technology Consulting company, and its Acuity Business Solutions Division is an award-winning Deltek Premier Partner that demonstrates excellence in marketing, selling, implementing, and supporting Deltek solutions. In addition, SNBS is a Microsoft Partner, offering technology solutions that encompass Network Support and Outsourced IT, and many cloud-based solutions. SNBS is an affiliate of Stambaugh Ness, PC, CPAs / Business and Technology Advisors, a national firm based in York, PA which is also an independent member of the BDO Alliance USA.